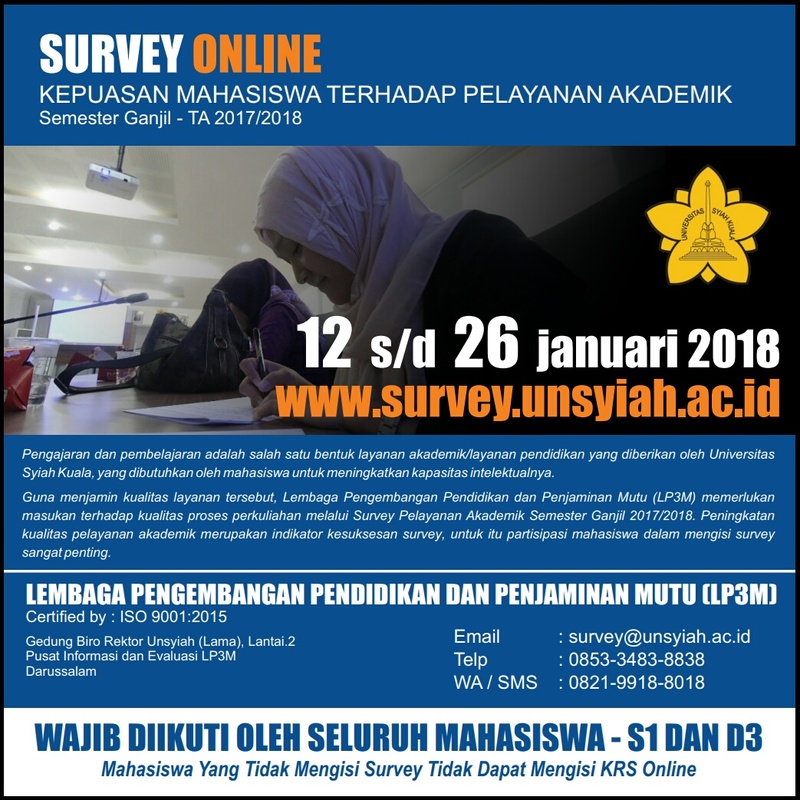 Surveys can be followed by accessing the link www.survey.unsyiah.ac.id. The account and password used in this survey are the same as the user on KRS Online. The survey was conducted from 12 to 26 January 2018. This survey is MUST followed by all active students for S1 and D3. Students who do not complete the survey activity can not complete the KRS for the next semester.